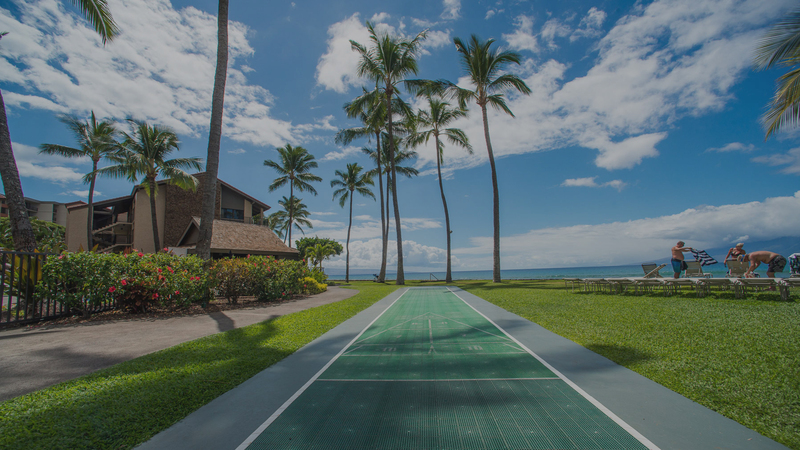 For active fun, play a game on one of two lighted tennis and pickle ball courts, two shuffleboard courts, or two putting greens. Relax by one of two swimming pools, each with a spa, cabana and multiple BBQ areas. The property features two pristine and well-maintained swimming pools. 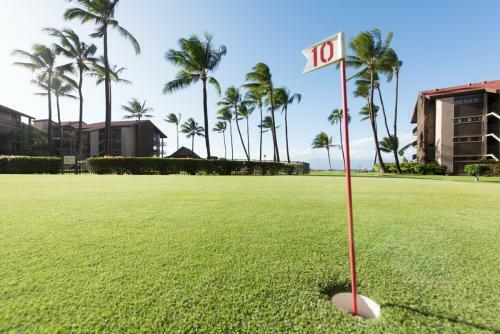 Hone your putting skills on one of Papakea’s two manicured putting courses. Putters and balls are available at the front desk. 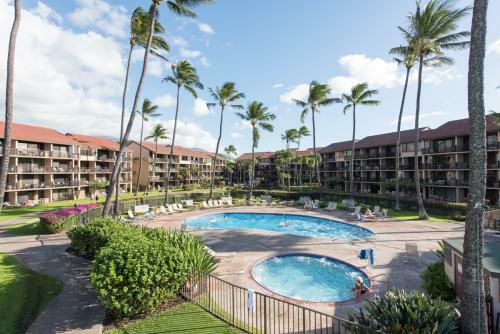 Swim, sun, enjoy the hot tub, or grill in either of the large, well-maintained pool areas. Relax by the koi ponds. The kids will love watching the fish. Full kitchen with plates, silverware, pans, etc. There are 2 recycling areas that accept paper, plastic, bottles, and cans. There is also a gate that opens directly to the neighboring ABC Store, a convenience store with snacks, drinks, gasoline, etc. 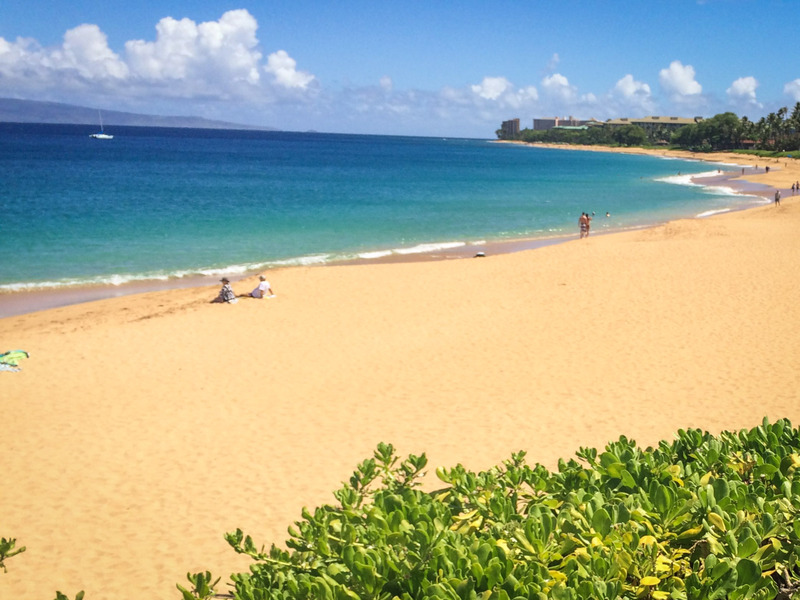 The beaches in West Maui typically have lower, gentler waves because the islands of Molokai, Lanai, and Kaho’olawe block most of the large waves coming in from the open ocean. Here you have sandy beaches with beautiful water for swimming and snorkeling. 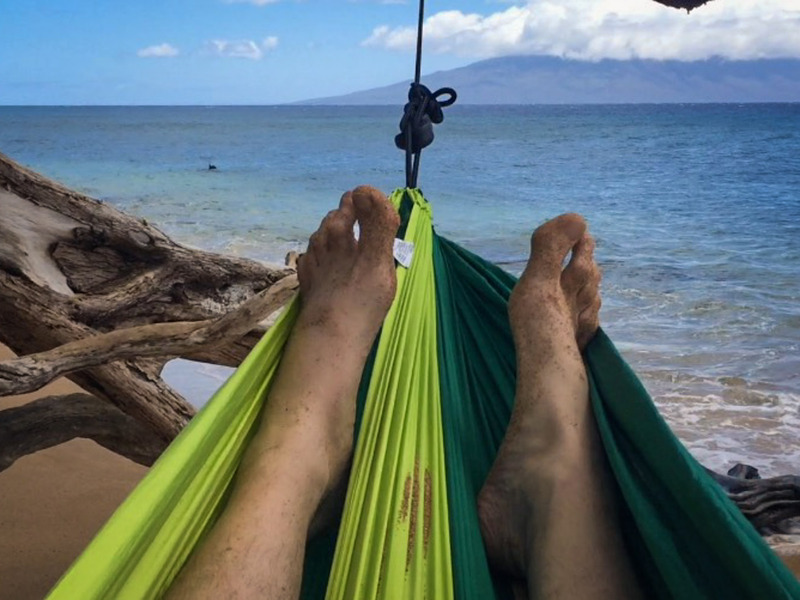 We highly recommend wearing water shoes due to rocks and marine life. There are some public beaches nearby where the locals like to surf. The waves are large enough for surfing, boogie boarding, or body surfing. 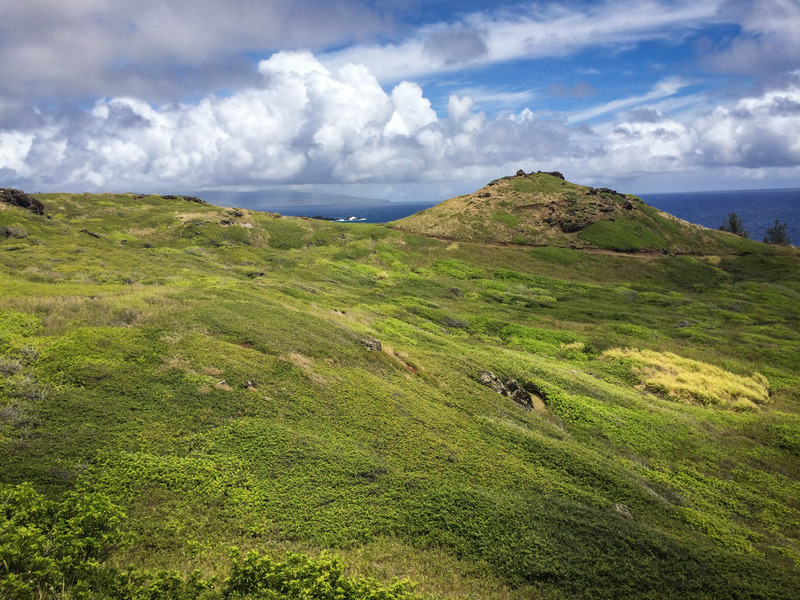 You will find even larger waves on the open, North and East sides of the island, but these are best reserved for the experts due to the rocks and strong currents. 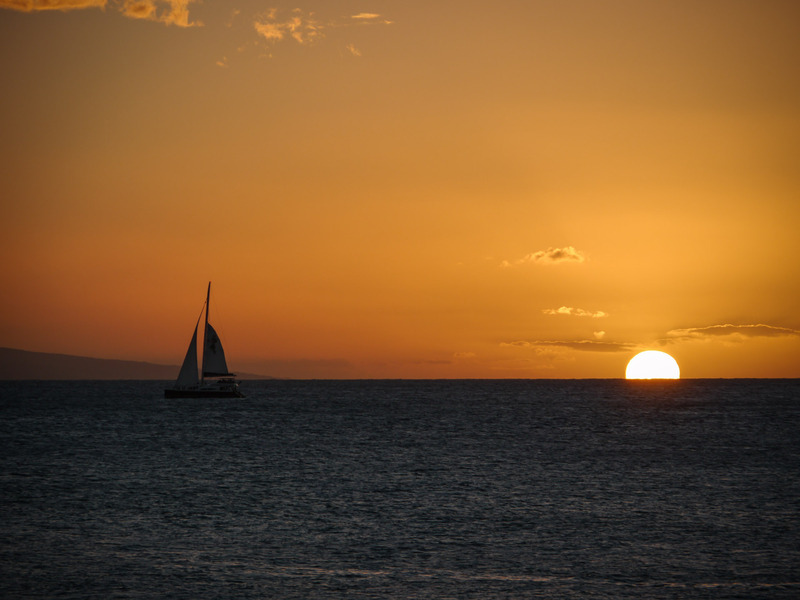 Try some of the other sandy beaches close to Papakea to find the best fit for you. 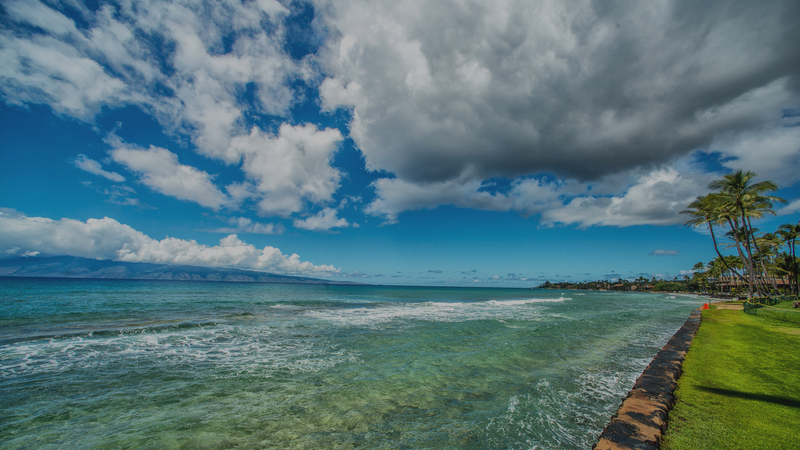 Walk or drive to one of three beaches within a mile of the condo. 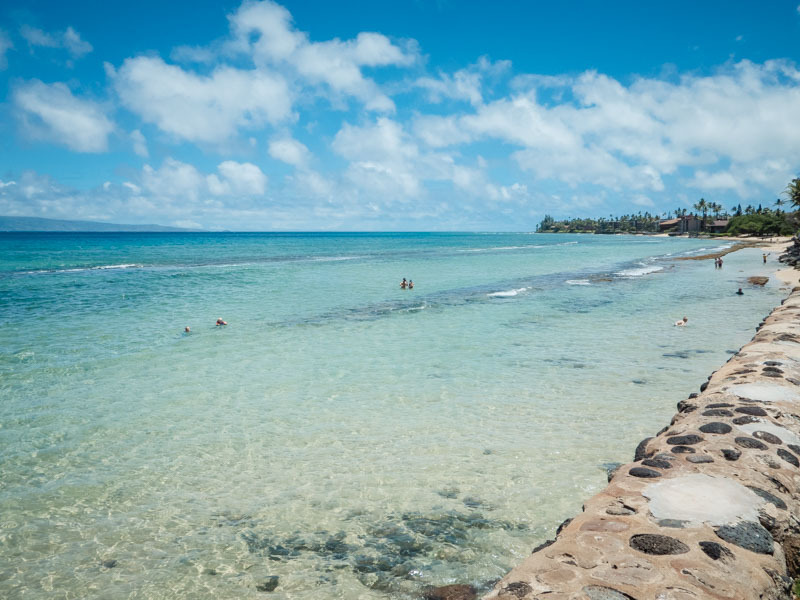 Honoapiilani Park is a bright, sunny beach within walking distance of Papakea, but if you’re packing a cooler and beach equipment, you may want to drive instead. 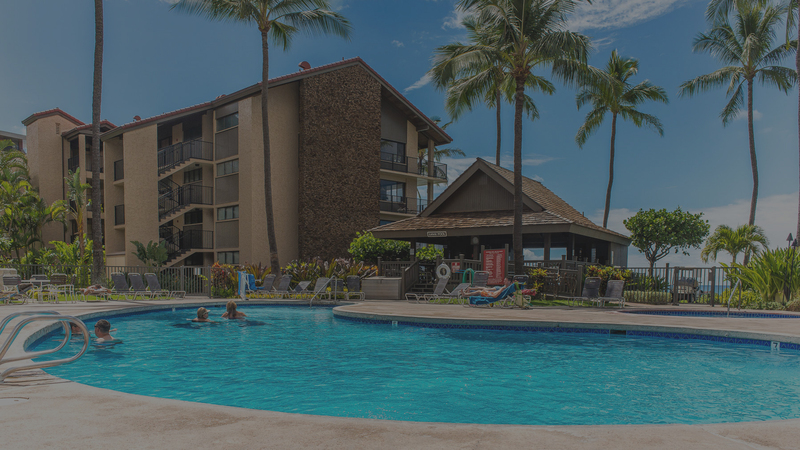 You will find plenty of parking, picnic tables, public bathrooms with showers, and access to the beach in front of the Honua Kai Resort. Turn right when you leave the Papakea grounds onto lower Honoapiilani Highway. Take the last turn on the right before you come to the upper Honoapiilani Highway, across the road from the strip mall. This road will take you into Honoapiilani Park. For anyone who needs a bit of shade, Will’s Beach is the ideal choice. Beautiful, old trees create lovely scenery and help block the sun. New construction of a public bathroom and shower building was in process at the time of this writing. Turn right when you leave the Papakea grounds. Turn right onto the Upper Honoapiilani Highway. Then take the first right off of the Honoapiilani Highway onto Kai Malina Parkway. It will look like you are entering a condo complex. Take the first left and follow the road to a parking lot. Watch out for a big, unmarked dip in the road. The parking lot is free to the public and a short walk to the beach. This area offers great fun for the family. 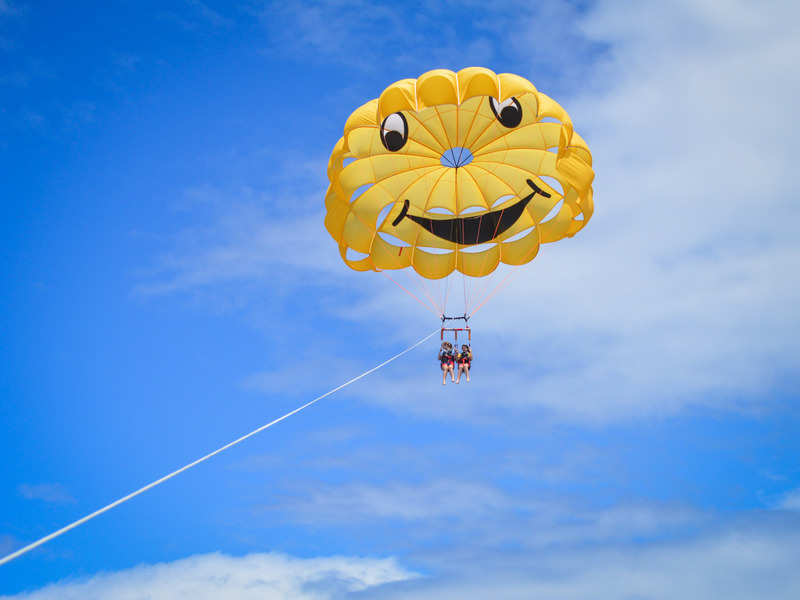 Known as a popular snorkeling destination, the park also has space for games and parties. Grills, picnic tables, public restrooms, and showers are also available. Turn right when you leave the Papakea grounds. Turn right onto the Upper Honoapiilani Highway. Turn right when you get to Puukolii Road. This will take you to a free public parking lot. It fills up quickly, so get there early. 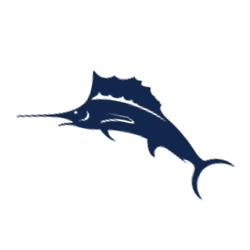 Whale watching (winter and spring) – Schedule through the Pacific Whale Foundation. 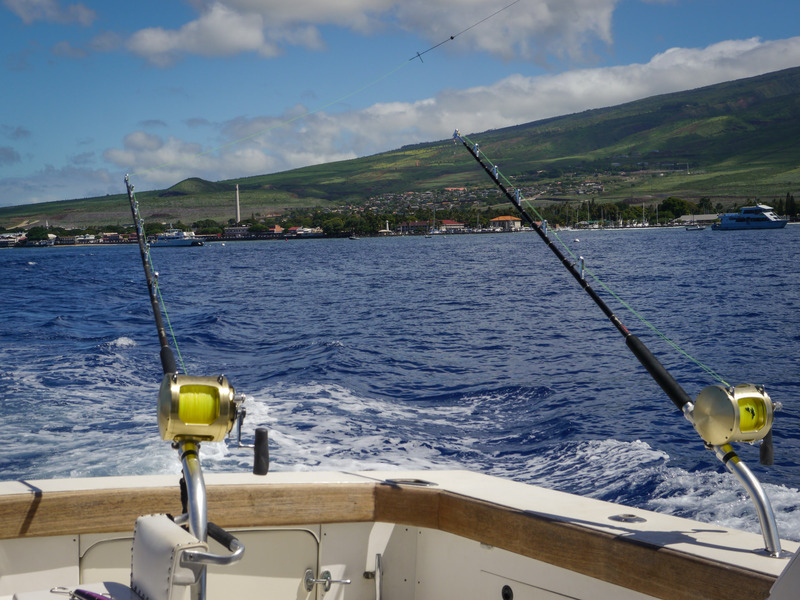 Scuba Diving – We recommend Lahaina Divers. 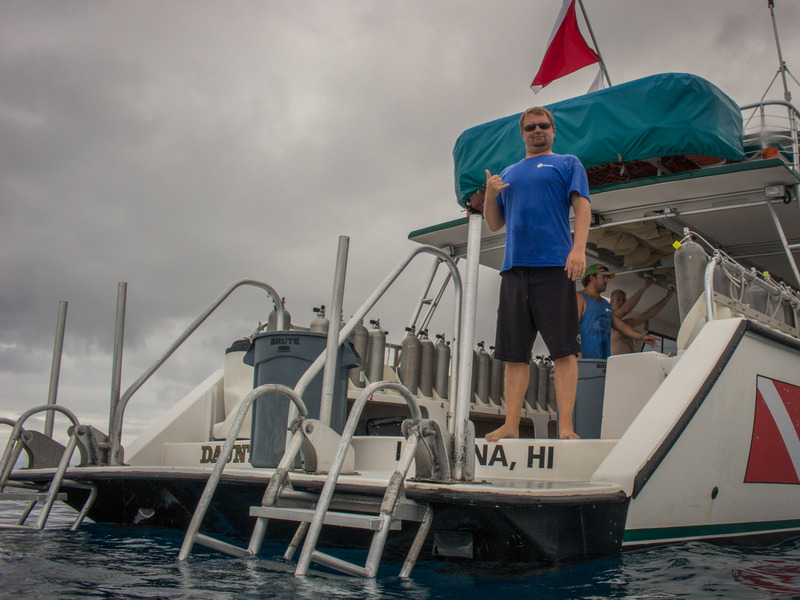 They offer dives for both experts and uncertified beginners. There is no better way to see the undersea life. Do this on one of the first days of your trip before you get used to the time difference. Get up early so that you will reach the summit before 9:00 am because clouds roll in by 10:00 am most days and obscure the view. 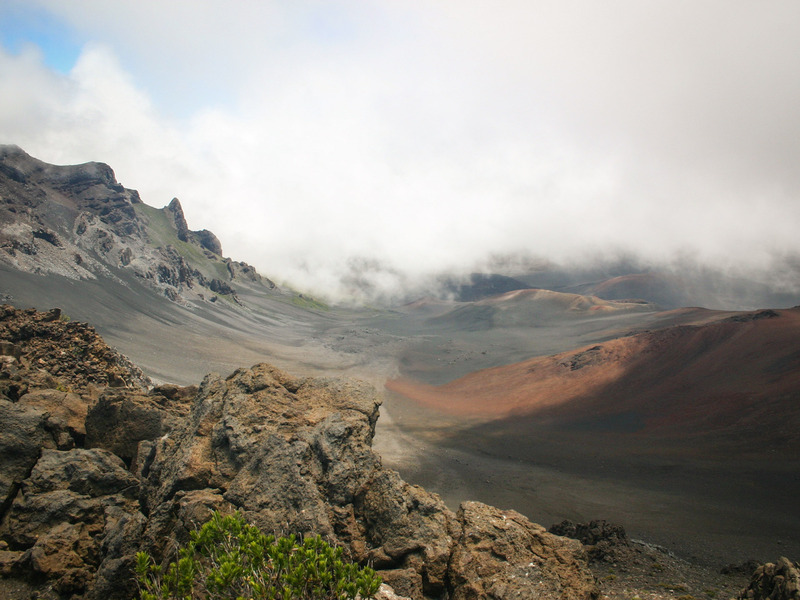 This site is fantastic, including the unobstructed views of the Big Island, Lanai, Molokai, and even Oahu on a clear day. Take a jacket. Temperatures will be in the low 40s and winds will be high. 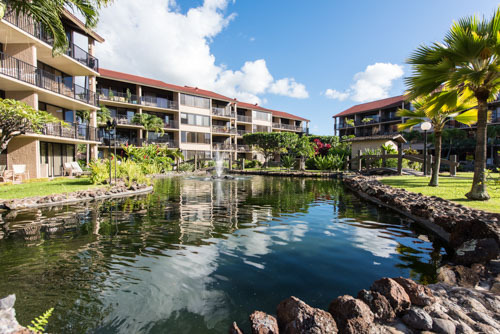 Whalers Village in Ka’anapali, Front Street in Lahaina, and the Mall next door to the Grand Wailea in Wailea are great shopping destinations. 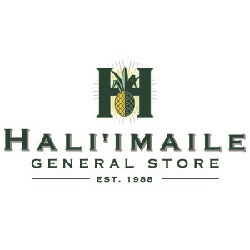 In Kahului you will find a couple of malls that are less frequented by tourists. Walmart and a Costco are located near the airport in Kahului. Load up on groceries after you pick up your rental car, but don’t forget to take reusable shopping bags. Most of the condos should have bags for your use. Beach front, open-air dining. 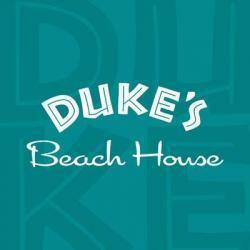 Duke’s is within walking distance from the Papakea and a great place to watch the sunset. Excellent salads, fish, chicken, and steaks. Desserts are great too. We recommend the Hula Pie! 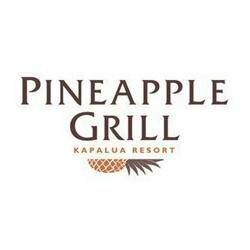 Indoor or open-air dining up the hill at the Kapalua golf course, Pineapple Grill is a short drive north on the Lower Honoapiilani Highway, which runs in front of the Papakea. The restaurant features fantastic Asian and American food. If you plan to enjoy your meal outdoors, take a jacket as it tends to get a bit cool and windy. Before you leave, snap an unforgettable family photo with the golf course as your backdrop. For more economical food options, order off the bar menu. Open-air dining, great burgers, and onion rings. Our favorite is Island Style with a ring of pineapple on it. There is usually a local guitar player/singer performing upstairs in the evenings. 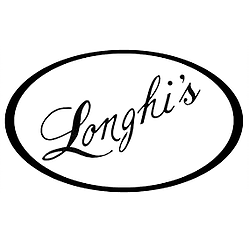 Get great Italian food with large portions right on Front Street in Lahaina. 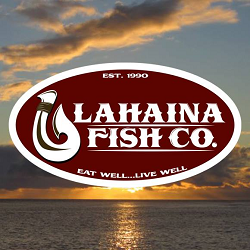 With great fish, prime rib, and a couple of vegan selections, Lahaina Fish Co also provides an excellent view. Book a reservation for one of the ocean-front tables. This classic beach-side market has a slightly diverse menu, but we recommend the fish tacos. 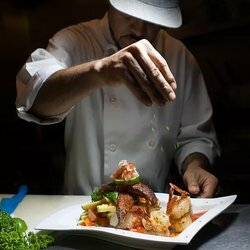 The excellent gourmet food, great seafood, and pleasant ambience makes the hour drive worth it. Open-air dining with amazing entrees and awesome desserts, Tony Bahama’s is an hours drive from Papakea. 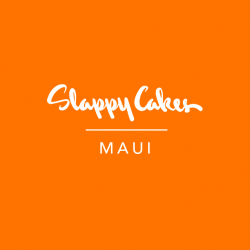 Next door to the Grand Wailea Resort, you will also find upscale shopping at the mall. 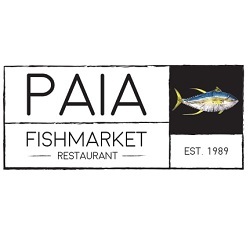 Enjoy an excellent breakfast in the strip mall across from Papakea. The pancakes are huge, and there are specials if you arrive early. Slappy Cakes is a novelty to be tried. 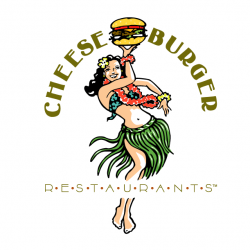 Located in the strip mall across the street from Papakea. Kids enjoy this cook-your-own pancakes place where they bring out the batter and there are griddles built in the tables. © Copyright 2019 Papakeacondos.com | All Rights Reserved.